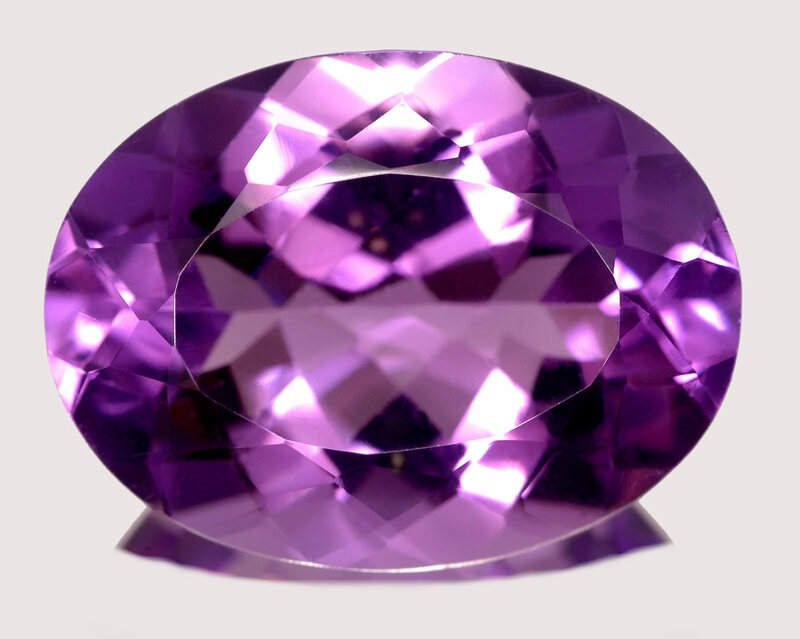 Gemstone Spotlight: Amethyst, February’s Royalty. An example of faceted amethyst. 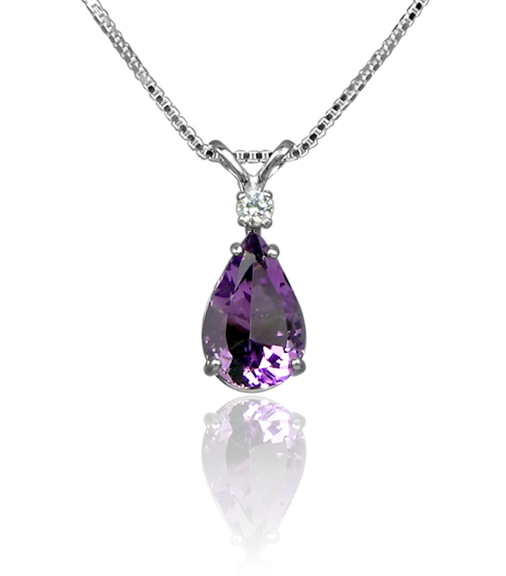 Amethyst, or purple quartz, is seen in a variety of shades from light lilacs to deep purples. 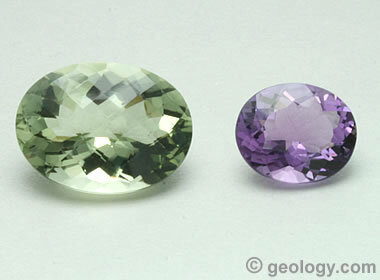 Today, it is one of the more common gemstones, found all over the world. 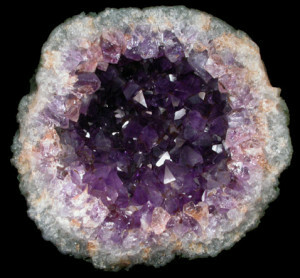 Most examples of amethyst are Brazilian or Zambian, however. Amethyst has a long an interesting history. At one time, only royalty were allowed to wear the gem. 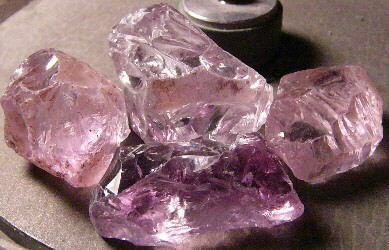 Historically, the highest quality amethyst was found in Russia. 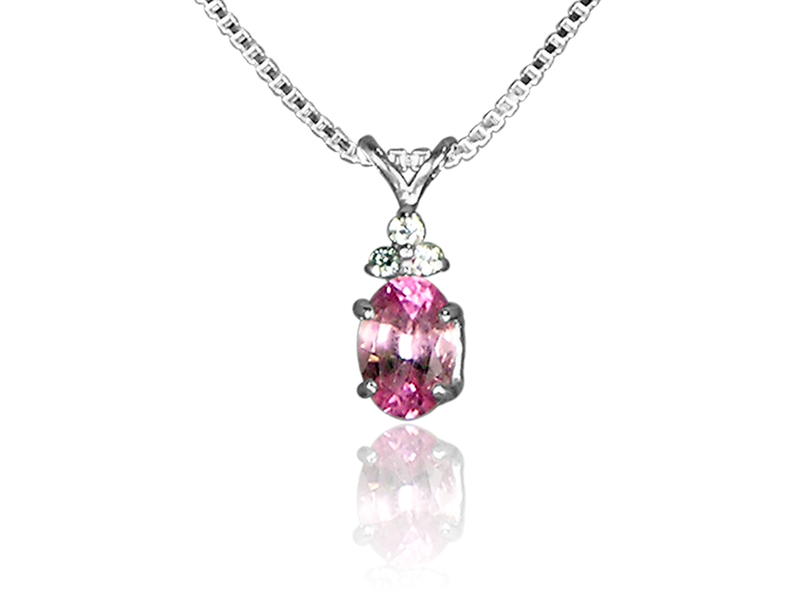 Throughout the middle ages, amethyst from this region was used to decorate English finery as a sign of royalty. The word amethyst actually comes from “amethystos,” a Greek word meaning “sober” or “without drunkenness.” This has gained it the nickname the “sobriety stone,” and Amethyst has been used to treat alcoholism and prevent against the effects of drunkenness. Metaphysically, it has several useful properties. 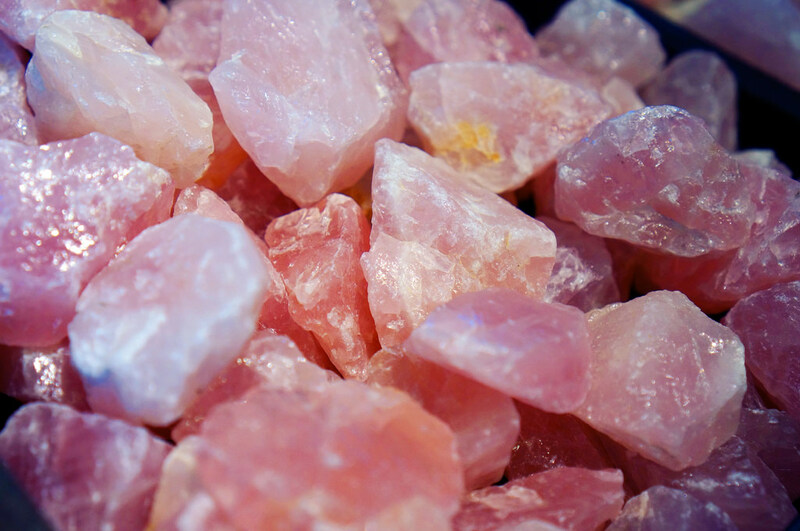 It is thought to relieve headaches, promote clear-headedness, and keep the wearer sharp of wit. It symbolizes, sincerity, peace, a calm disposition, and courage. 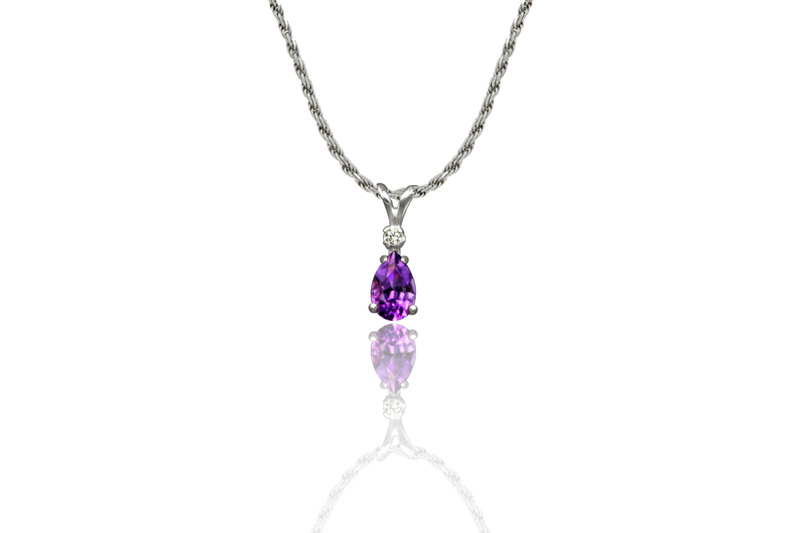 Think of amethyst as a gift if you are shopping for a 4th or 6th wedding anniversary or to make your February girl feel like royalty. 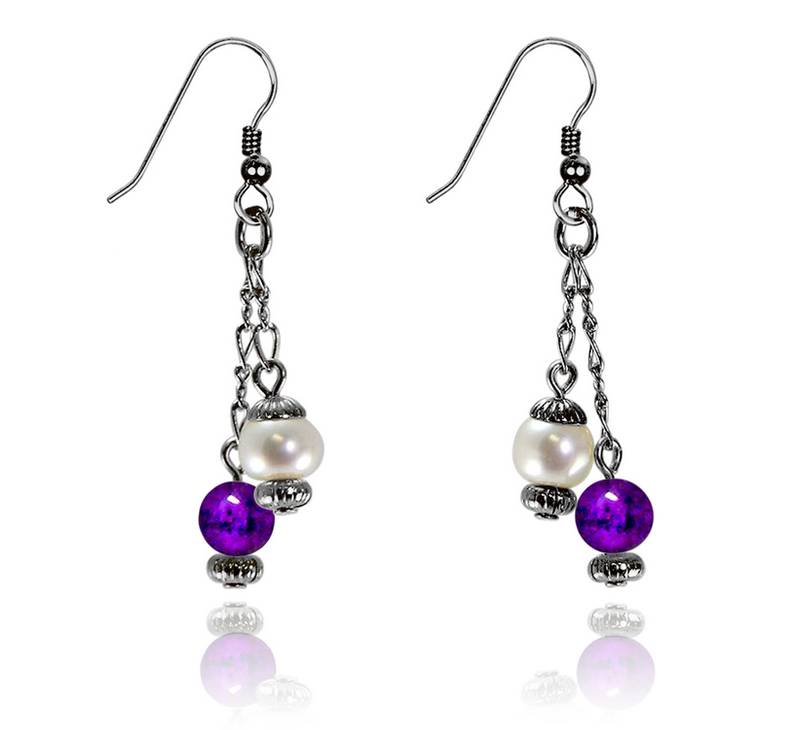 In fact, did you know that between the 15th and 20th centuries, the pearl was also considered as a February birthstone? Our pearl-and-amethyst jewelry is an excellent choice for a February birthday present! 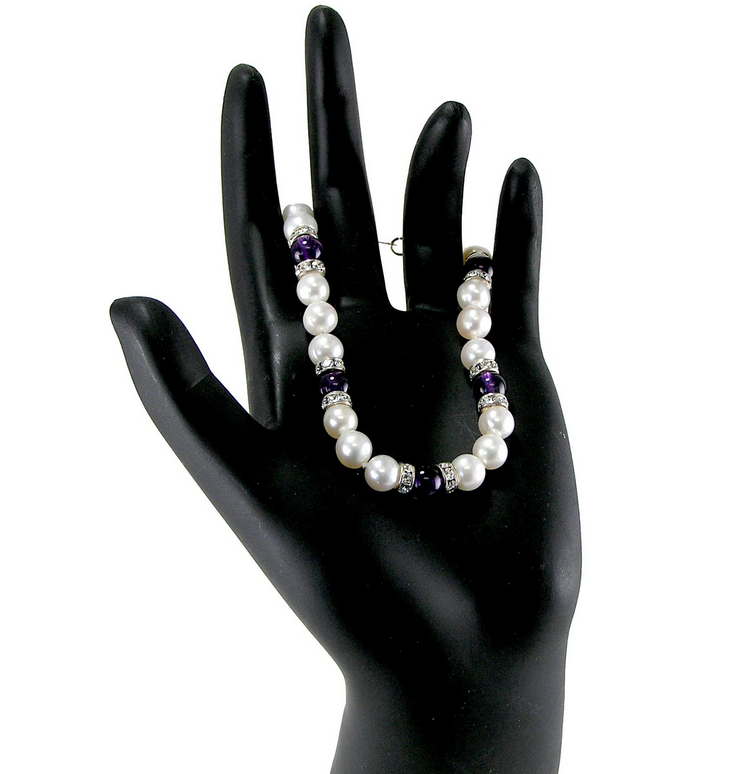 Pearls International pearl-and-amethyst bracelet with swarovski crystals.